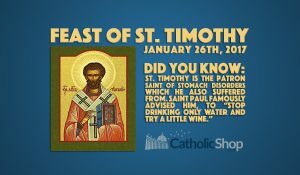 HomeCatholicToday is the Feast of Saint Timothy. Celebrate with Us! 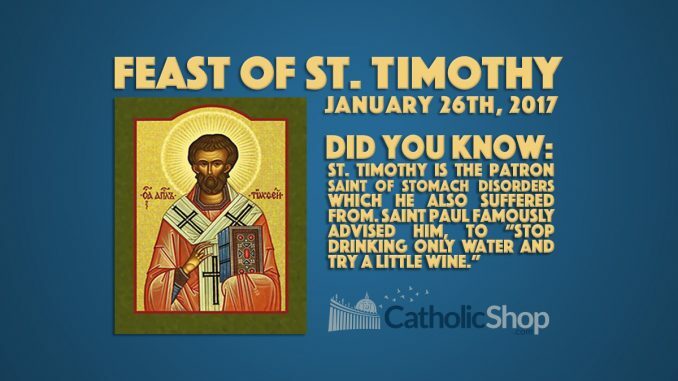 January 26th is the Feast Day of Saint Timothy, the patron saint of stomach ailments. 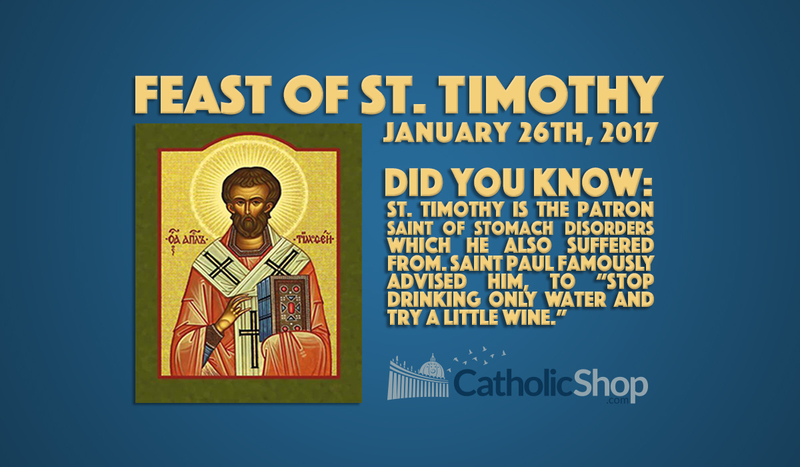 Celebrate with our collection of Saint Timothy items.